The Maly Dunaj River is one of the Danube River branches and it begins directly in Bratislava - Vrakuna and ends near Kolarovo, flowing after 128 kilometers into the Vah River. Rafters can choose a one day trip or trips lasting up to three days with camping. One day water trips can start in Vlky village, or a little sooner in Tomasovo and finish in Jelka, which is an area with one old wooden water mill. There is available a favorite short paddle trip (1.5 - 2 hours) from Jelka to Jelka. Children of school age can raft on this river, too. The river is calm. 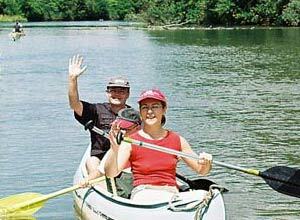 For paddling trips we offer double canoes, or stable inflatable rafts. Price for double, or triple canoe per day: 17 EUR. A paddle and life saving jacket are included. Transfers from Bratislava are negotiable. 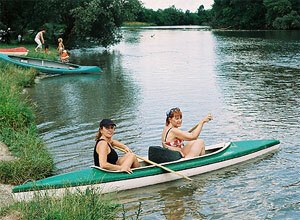 We organize paddle tours in Bratislava surroundings on the Danube River and its branches.